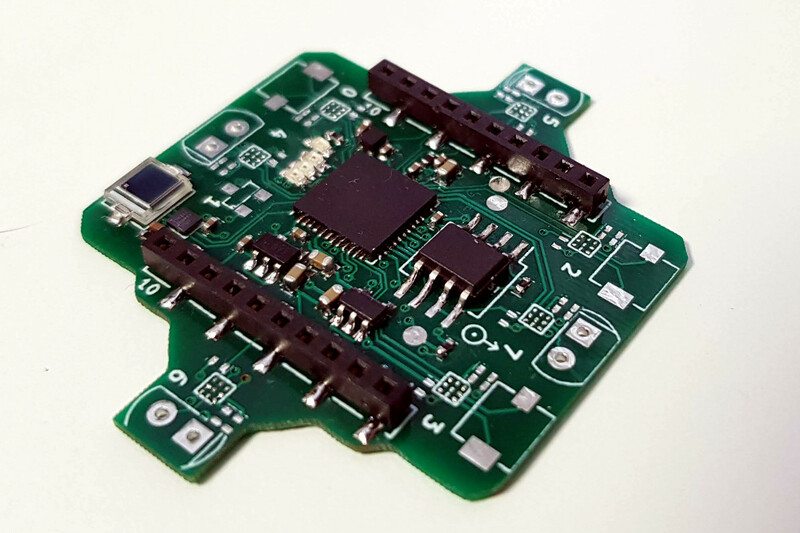 We already wrote in a previous blog post that we where working on a Lighthouse positioning receiver deck for the Crazyflie 2.0. In this post we will describe a bit what has been the development process so far for this deck as it is an example of how to develop with the Crazyflie. Basically, our way of working often is to try to get one things working after another, this is what we have done here: we start from a hack and then we replace hardware and software pieces one after the other to make sure we always have one half (hardware of software) we can relie on. The signal from the lighthouse receiver goes to the Teensy, then the serial port of the Teensy is connected to the serial port of the Crazyflie. As a first approach the Teensy was configured and we could get the position data using the Teensy USB port. When everything was working correctly I could implement a small deck driver in the Crazyflie to receive the position and push it in the Kalman filter. 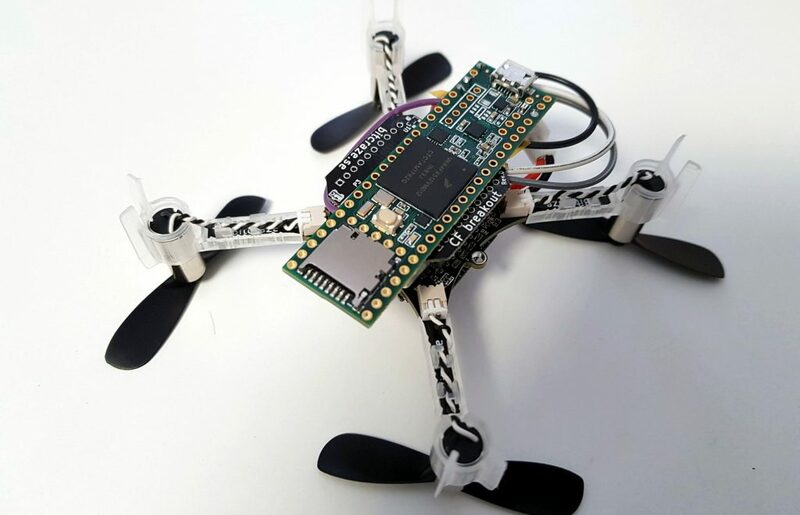 This way I could get a Crazyflie 2.0 flying in lighthouse with minimal firmware work. 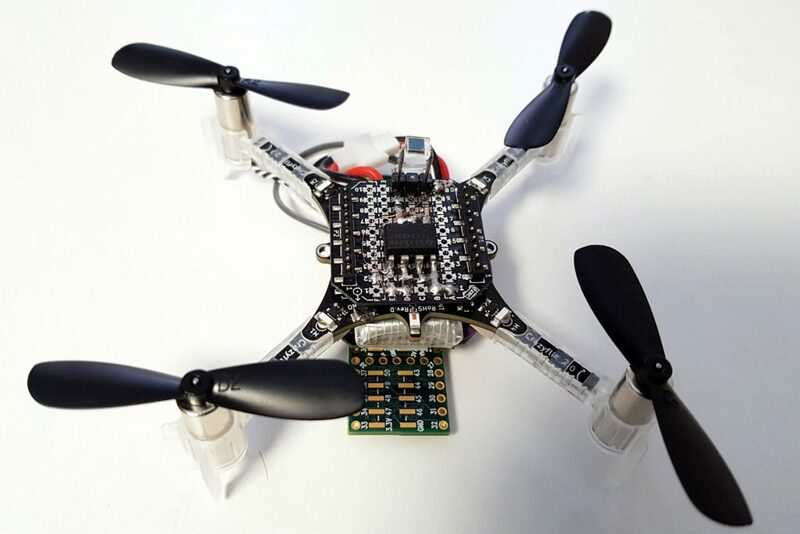 This board implements up to two receiver which would allow to get the orientation as well as the Position of Crazyflie. Due to questionable soldering only one receiver has ever worked but the prototype was useful to test the concept anyway, one of the lesson learned is that the receiving angle of the two flat is not big enough to fly very high, with the two lighthouse base station near the ceiling we could only fly up to ~1.5m before loosing the signal. 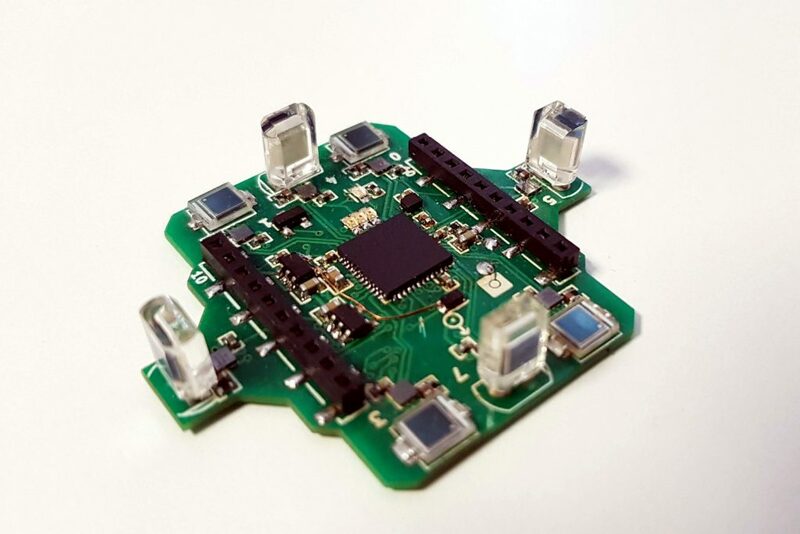 We would need a microcontroller or other chip capable of acquiring the signals on the deck since the Crazyflie 2.0 deck port only has two input capable of acquiring the pulses. At this point informations about Lighthouse 2.0, the next version of Lighthouse tracking that will allow to cover much bigger area, started appearing on the internet and a new receiver chip was release to receive the signal, the TS4231. One big difference was that Lighthouse 2.0 would transmit data in the laser carrier. 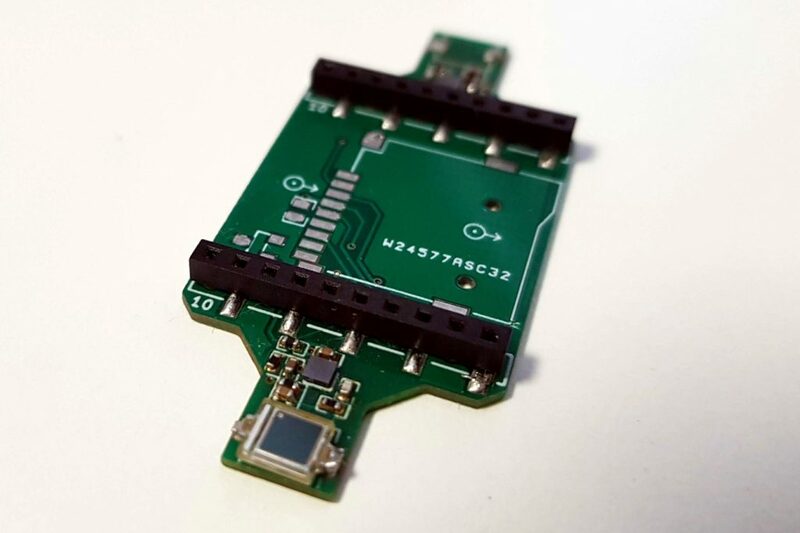 The data transmitted are in the range of 1 to 10MHz dixit the TS4231 datasheet so it makes them impractical to acquire with a microcontroller. This gives us a perfect opportunity to play with the iCE40 FPGA and the icestorm open-source toolchain that has just been release. As a first approach the FPGA will acquire the Lighthouse 1 pulses and send the raw timing via a serial port to the Crazyflie. 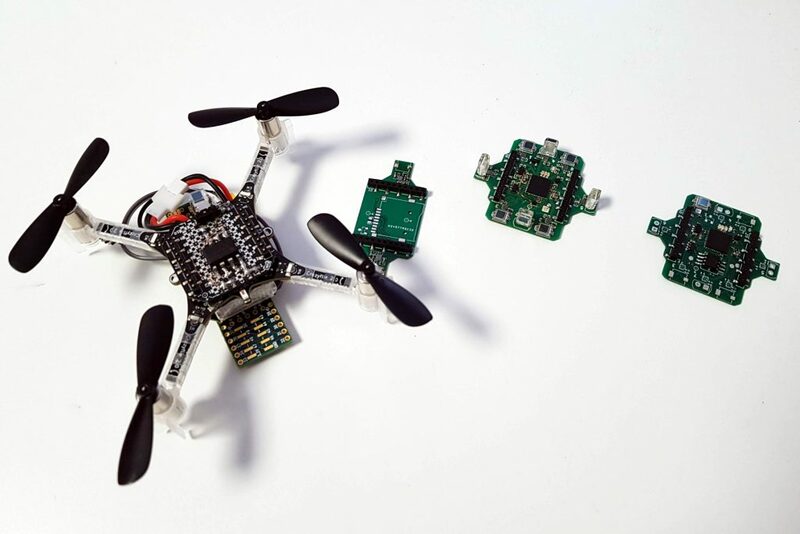 The Crazyflie can then decode and interpret the pulse. I am currently playing with the idea of maybe running a picorv32 Risc-V 32 bits CPU core in the deck, this will allow to acquire and interpret the pulses in the deck and send angles to the Crazyflie, this would greatly lighten the processing load on the Crazyflie 2.0. Eventually this FPGA should be able to acquire and decode the Lighthouse 2.0 signals. This is very much work in progress and we will write more about the Lighthouse deck when we have further results. This sounds pretty amazing! Would this working in an environment that has a lot of flashing lights? Or does the environment lighting need to be stable? Please let us know how we can find out more about your progress. The receiver is sensitive to infrared light. If your environment has a lot of flashing infrared light with close-enough wavelength it is going to be a problem, for example our mocap system IR LEDs disables completely the valve tracking when it is switched ON. If you only have visible light generated by LEDs it is most likely not going to be a problem since visible light LED do not normally emit any IR light. I will be posting new blog post about the progress over time so for now on the best is to stay tuned on this blog :). do you know the details of light data send from lighthouse gen2?